Ready, set, go! 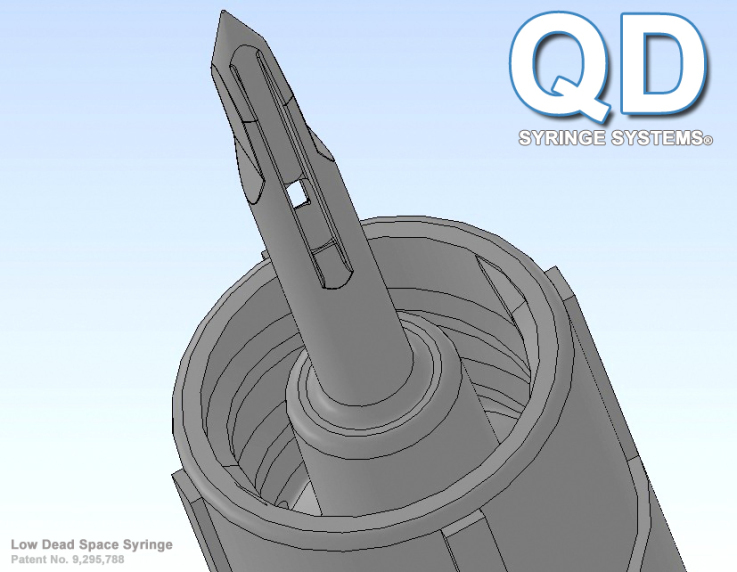 QD Syringe Systems, LLC. introduces a revolutionary product to enter the market soon – Quick Draw Syringe™, the world’s first fully functional low dead space basic syringe. The Quick Draw Syringe or QD Syringe is touted as the next generation of basic functional disposable syringes which will completely eliminate the need for the outdated nonfunctional basic luer lock syringe. It’s an easier, safer alternative for medical professionals to use. Our QD Syringe Systems team is currently working on a QD Neutral Displacement Needleless Connector which will enable the quick accessibility of the QD Syringe’s tip but will also allow for basic current luer lock syringes universal ISO 80369 syringe comparability. “With so many changes in technology, we decided that there was a great need for not just a new disposable syringe but one that vastly improved the function, safety and efficiency of it. And with the rising costs of healthcare, there was also a need for a basic syringe that was cost-effective. 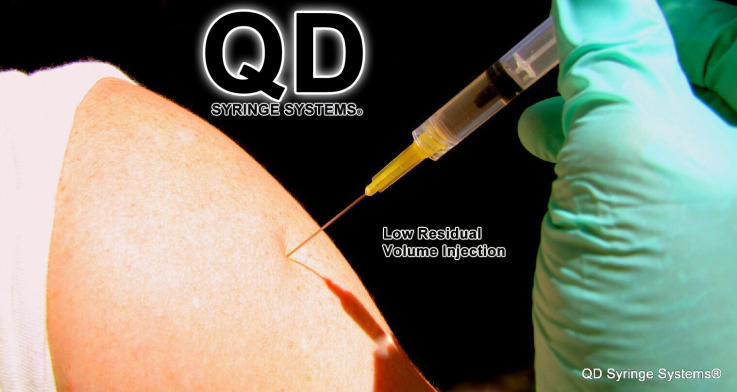 The QD Syringe is faster, more efficacious and simplifies the process of withdrawing medication from a rubber stopper vial and injecting it into a patient or within seconds, immediately delivers medication into a patient’s luer access split septum,” says Christopher Green, CEO and co-founder of QD Syringe Systems. 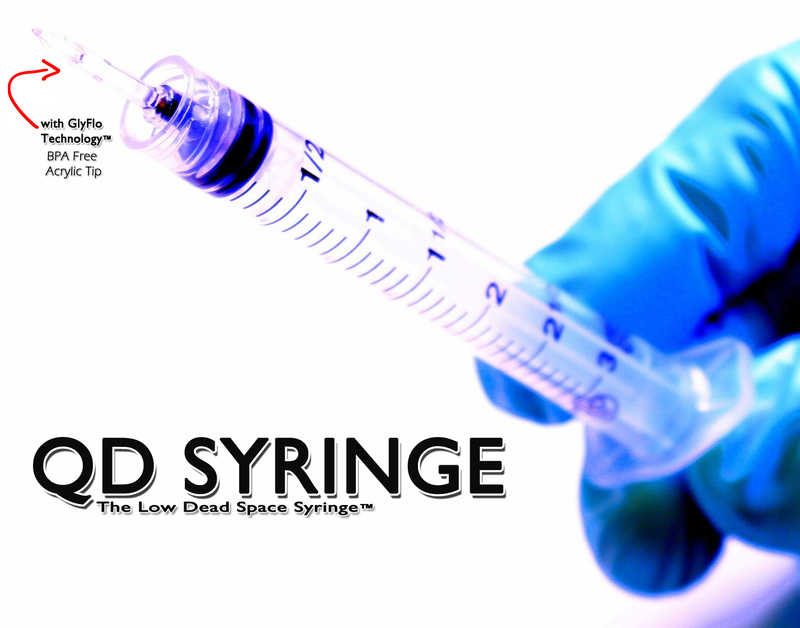 QD Syringe is simple – open the package and it’s fully functional. Basic syringes nationwide haven’t had a design change in decades and while they work, they aren’t as effective as they could be. The basic Luer Lock syringe is essentially dependent on two needles with hubs, one to draw the medication into its chamber and the second to deliver the medication to its intended patient. 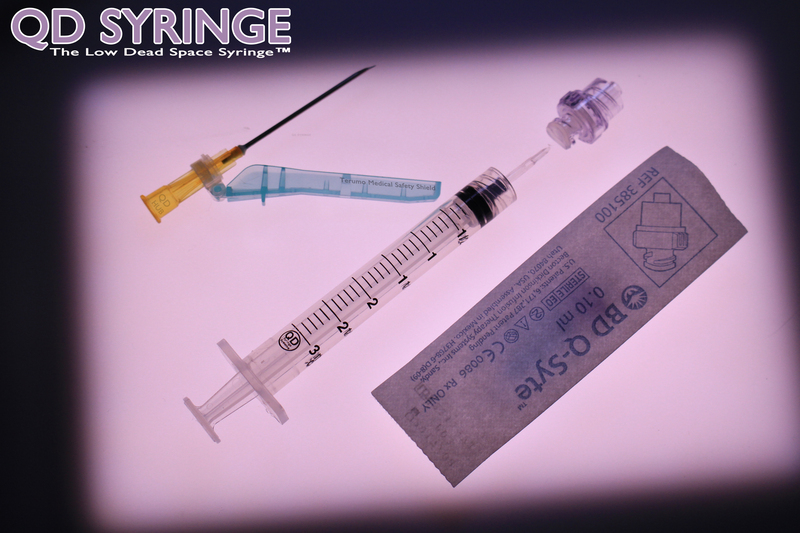 Current basic syringes waste costly medications, up to 42 microliters in its separate draw needle and up to 42 microliters left in the vial and often leaving up to 84 microliters of residual medication volume in the syringe tip and hub after patient delivery. This means up to 168 microliters of expensive medication is wasted. 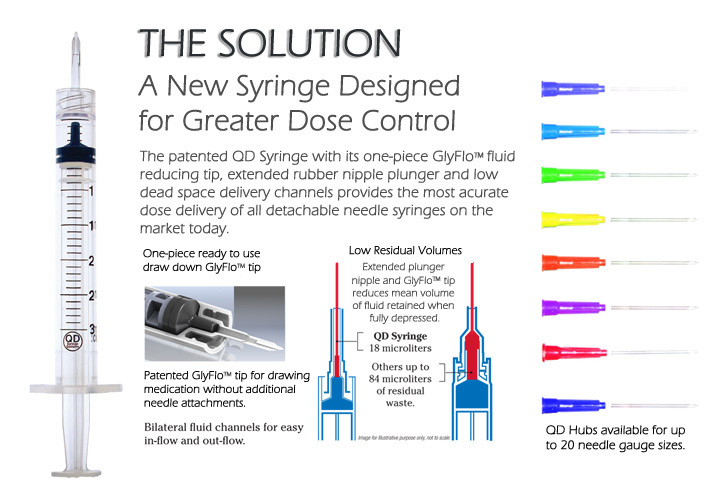 With the GlyFlo Technology™, the QD syringe has a uniquely patented and integrated cone-shaped tip with channels which allows the QD Syringe to extract all of the medication necessary from rubber stopper vials and to deliver that costly medicine to patients effectively. 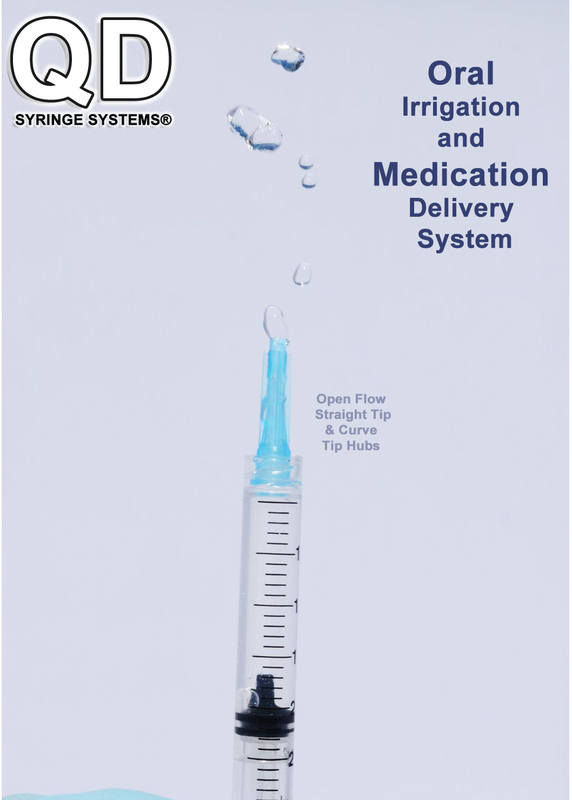 “The QD Syringe leaves as little as 18 microliters of residual volume from draw to patient delivery, which drastically cuts the waste of costly medications by 89.5%. This is a massive money-saving benefit to the healthcare industry and consumers,” says Christopher Green. 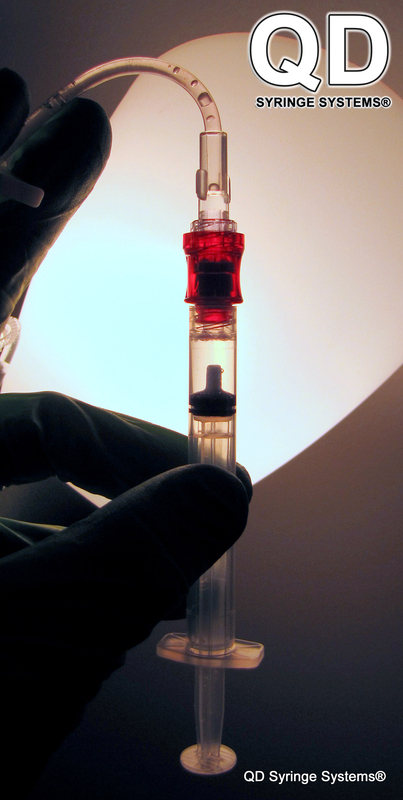 Because of the high dead space in current basic syringes, blood can linger on the tip and inside of its hub which has been shown to encapsulate dangerous living pathogens for many weeks. However, the QD Syringe has a blunt tip with bilateral drying channels (like an inside out needle), causing blood not to pool which makes it much safer for medical experts and reduces the spread of infectious diseases. In addition, the QD Syringe can access both pre-slit, non-pre-slit injection receptacles and has its own ultra sharp steel needle with hub which mates over the cone-shaped GlyFlo tip for immediate patient access. © 2017 QD Syringes Systems ~ The QD Syringe is a patented product registered with the U.S. Patent Office. This entry was posted on Saturday, April 29th, 2017 at 5:46 pm by admin	and is filed under Medical Devices, Needlestick Statistics, Syringes. You can follow any responses to this entry through the RSS 2.0 feed. Both comments and pings are currently closed.